Looking for an inspiring new career? 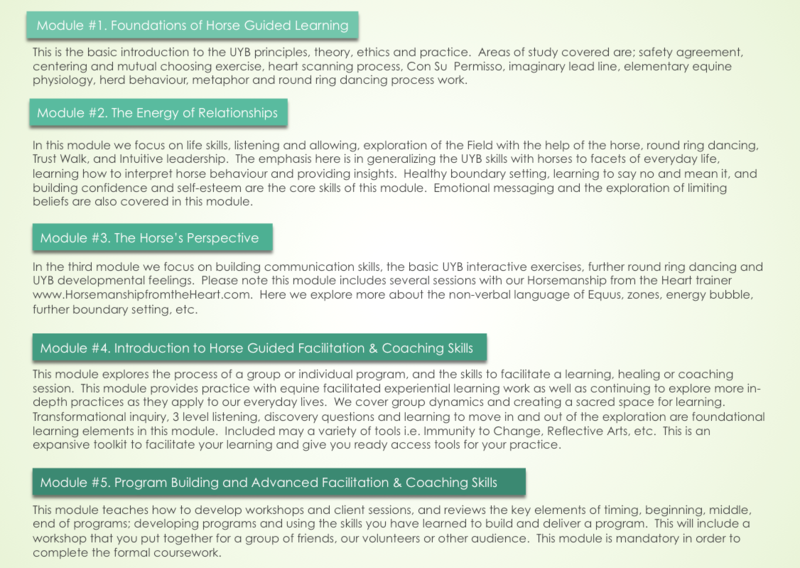 Become an Equine Guided Facilitator in 6 Months! You love horses! You have always been inspired to convert your hobby to a full-fledged career but didn’t know how. This program is for you if you are looking for formal training in the Equine field. Our 6 month intensive program is more than a training program. Carefully selected individuals will be guided during these 6 months with the goal of preparing them to either run their own program, or to be part of our programs as they build their practice. Conscious awareness – You cannot change those you cannot see. Intention – Setting your intention to create motivation and inspiration to both horse and human. Con su permisso – Creating a safe space for both horse and human to interact with full permission and challenge by choice. Intuition – Learning how to understand the difference between intuition and rational thinking. Mindfulness – Learning how to focus your body, mind, and spirit by focusing and being clear on what you want to create in your life. Congruency – Being in alignment with all parts of yourself, mentally, physically, emotionally, and spiritually. Saying how you feel and being able to have clarity with your own internal values. Allow, allow, allow– Learning how to “notice and release”, and give yourself permission to explore your thoughts and feelings in their fullness to expand your perceptions. 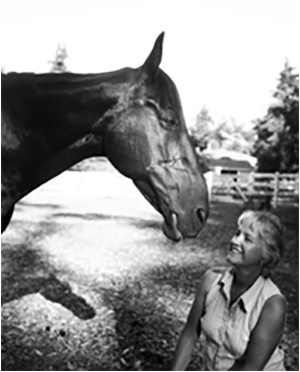 Linda-Ann Bowling is a Master Coach who specializes in Horse Guided Coaching & Learning. She developed the Heart/Mind Coaching Method©, Somatics coaching, is certified in conflict resolution, and highly skilled in leadership and team development and change/transition management. Language – How we hold conversations and coordinate action with each other. Emotions – What are they, the messages behind them, and how we can allow them to flow more naturally. Mood – Conversation produces a “way of being” in the world; how we can shift our moods and create new possibilities. Body – Learning happens in the body; movement, posture, and gestures say a great deal about how we observe the world and what action we take. Begin your learning and become a highly skilled facilitator through this one of a kind program! Discover 5 Ways to Create Extreme Happiness and Balance in Your Life! - Our happiness e-book: 5 Scientific Ways to Boost Your Positivity. - Bonus article: 'Finding your Center and Living a Life in Balance'©. - Access to our quarterly newsletter filled with ideas and resources for a more purpose-filled life.